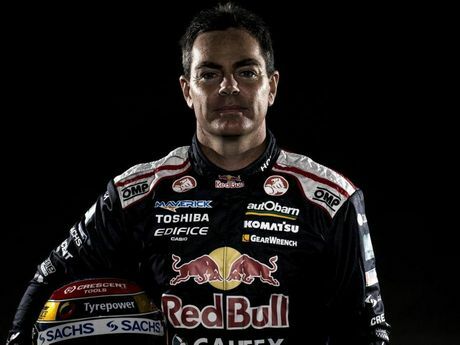 NURSING a sprained wrist courtesy of a recent bike accident and ruing a bit of bad luck behind the wheel of his Holden on the Townsville street circuit just three days earlier, Craig Lowndes is anything but perturbed as he scrawls his name across a couple of team red Bull t-shirts. The Aussie motor racing star should be enjoying a brief respite before he starts preparing for the next round of the v8 Supercar Championships. But when work comes knocking he answers - with the same enthusiasm he gives to hurtling around a race track at 300kmh. He's using a rare moment between meetings, phone calls, over-seeing car rebuilds and post-race analysis to do one of the unenviable tasks that come with being Australia's top V8 Supercar driver - creating a little bit of memorabilia for some of the fans who bombard his office each week with autograph requests. Yet the 41-year-old wouldn't have it any other way. "I hope my fans get some enjoyment from it," he says of having to sign more than 500 autographs a week. "Fans are the backbone of motor racing; if we don't have fans, we don't have motor-racing - it's pretty simple." Lowndes is one of this country's most recognisable faces thanks to a 30-year racing career that includes five Bathurst 1000 victories and three V8 Supercar championships. There might be close to 400 trophies in his two-storey Red Bull/Triple Eight Race Engineering headquarters at Banyo, but no matter how many pieces of silver he collects, the thought of where he's from and how he got here keeps his feet firmly planted on the ground. Raised on a bush block about 40 minutes outside of Melbourne in the 1970s-80s, Lowndes first felt the need for speed when his dad Frank - a respected mechanic who built cars for King of the Mountain Peter Brock - gave him a go-kart. Lowndes was barely 12 years old, but the passion for motor-racing was coursing through his veins. "I really enjoyed it," he says of getting his first set of wheels and joining his local club - the Eastern Lions at Whittlesea. "It was a lot of fun hanging out with friends and mates and I was learning all about how to set up a go-kart." Lowndes' potential shone through as he collected trophy after trophy and enough experience to move into a tougher class of racing. By 16 he was the proud owner of a one-seater Formula Ford. "We literally sold everything we owned in go-kart world and put all that money towards buying the Formula Ford," Lowndes recalls. 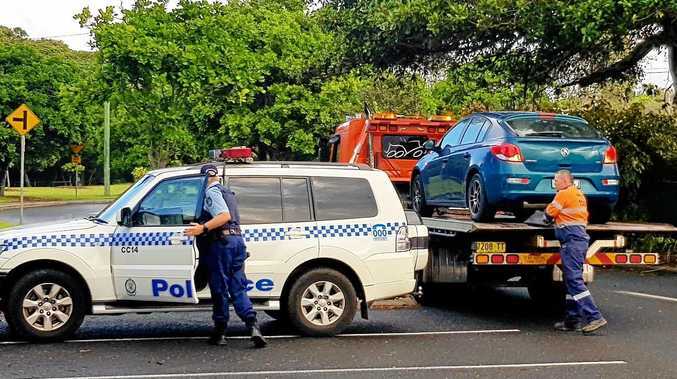 "We paid about $12,000 to $15,000 to buy the car and of course you needed spares and transport - it sort of went on and on and on. "We spent 12 months restoring it, learning all about it. "It was another stepping stone for me to understand everything about a race car." The apprentice mechanic and his father decided to stick to a rigid three-year plan. "The first year was going to be club and state racing, the second year was going to be national racing and the third year we were going to put all our eggs in one basket and buy a brand new car for that year and do the full circuit," Lowndes says. "At the beginning, 99% of the work on the car was done by myself and dad. "We had a few sponsors who would cover entry fees, tires, engine rebuilds and those sorts of things. "People were surprised that we came out of nowhere and were performing really well straight up - we ended up winning the club championships." In 1992, the duo took the show on the road as they hunted national glory. "We got about half-way through the year when we were approached by (Sydney-based truck spares company boss) David Radcliffe who wanted to sell his car," Lowndes says. "He basically donated his car to me to run for the second half 1992 - the aim was for me to get more experience and for him to build awareness of the car so he could sell it. "By the end of 1992 we were 16th in the national series." Radcliffe was so impressed by the young driver that he gave Lowndes a top-notch British Van Diemen RF93 Ford to drive in the 1993 Australian Formula Ford Championship. "We ended up winning," Lowndes says. In October of 1994, Lowndes scored the feat that put his name into the Australian conscience - a spot on the podium at Bathurst. But getting there was no easy task for the 20-year-old rookie, who was taking on drivers he had always looked up to - including family friend and nine-time Bathurst champ Peter Brock. "I struggled to get up to speed, I was about two seconds off the pace," Lowndes says of his first drive around the Mount Panorama circuit. "But Peter sat me down and talked me through a whole lap of the track - where to position the car, what gear I should be in, where to brake, how much to brake, where to steer the car. "On my first drive back, I picked up a second on the lap time and from that point on I was just getting faster and faster. "Then my opportunity to pass (Ford driver) John Bowe into turn two was probably what put us (Lowndes and alternate driver Brad Jones) on the map. "We were leading for a lap and half, but John repassed me and we came home second. "I was elated. I couldn't believe my eyes. "You go across the top of the mountain and you can hear the crowd roar - it was a massive amount of noise, it really set the mountain alight, it was an amazing feeling." Adoring fans, a voracious media pack and cashed-up sponsors were soon nipping at his heels. Australian motorsport legend Peter Brock. Brock's mentorship helped keep the 20-year-old grounded. "Peter helped me enormously," Lowndes says of the super star who lived just 30 minutes down the road from the Lowndes family home. "He helped not only in the driving sense but in the media sense, with knowing about the publicity, going to corporate facilities, being able to read crowds and to talk to fans and to keep their interest. "Peter was a huge asset in my life - he was very much a good friend who gave me a lot of advice." Lowndes, with team-mate Greg Murphy, won Bathurst for the first time in 1996. In 2000, Lowndes made one of the biggest decisions of his racing career - he moved from Holden to Ford. And Brock was there to guide him. "I went and sat with Peter and Bev (Brock's wife) and went through the pros and cons of changing to Ford," Lowndes says. "Peter's advice was pretty simple - 'You're going to lose 50% of your fan base with Holden but you're going to gain 50% with Ford, so you're actually not going to lose anything' and it turned out to be true." Six years later the motor racing world was in mourning following a horror crash that killed the sport's biggest icon. 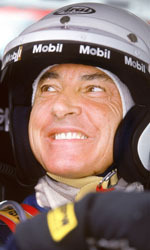 Brock was 61 when he died during the Targa West rally about 40km north-east of Perth on September 8, 2006. "It was a difficult time for everyone," Lowndes says of the father-of-three's death. "Peter had left a legacy of motor racing for everyone. "He was very willing to give you advice, give you a hand, help you out. "He was a very positive person - to be around him was electrifying, you could absorb his positivity. "He was one of those people who would look at a half-empty glass and say it was half-full - he was one of those characters that could lift your spirits if you needed it." One month later, Brock's protégé won the Bathurst 1000 for the second time. "We went to Bathurst that year with very high emotions and we ended up winning - it will always be the all-time best race for me," Lowndes says. Now 41, Lowndes juggles the needs of a gruelling race calendar with spending time with his kids, 12-year-old Levi and 10-year-old Chilli. He says neither has shown much interest in following in his footsteps. "Levi's got ability, there's no doubt, but at the moment I'm trying to not do the same as I've seen in the past - parents pushing them into something they don't want to do," Lowndes says. "Chilli wants to do what Levi's doing, but I don't think she's got the passion to be a race driver." Lowndes and Mark Winterbottom will battle for top spot on the v8 Supercar Championships ladder when they meet at Ipswich for the SuperSprint from July 31- August 2. GO-KARTS: Go-karts are the first step on the motor racing ladder. The little four-wheeled open-air vehicles can hit 260kmh. FORMULA FORDS: Formula Fords are low to the ground, very light open-air race cars that can hit the same speeds as a V8 Supercar. The Formula Ford racing category is often used as a stepping stone to the V8 motor racing circuit. V8 SUPERCARS: The V8 Supercars are based around four-door sedans produced by Ford, Holden, Nissan, Mercedes Benz and Volvos. The cars can hit 300kmh in what is considered Australia's elite form of motor racing by many fans. 394 trophies can be found inside the Triple Eight headquarters. The building covers 3200sqm and is home to 45 staff. There are thousands of car parts on-site. The ground-floor multi-room garage houses four race cars in various stages of build or rebuild and three fan experience vehicles.